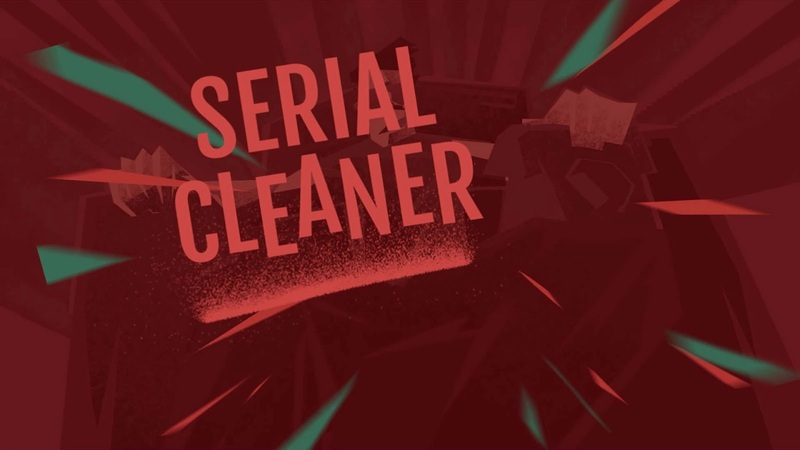 Serial Cleaner starts off with a cinematic introduction reminiscent of seventies action movies. Funky music, cars, shades and sideburns aplenty. It perfectly sets the tone for the game's environment. 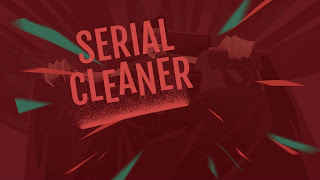 You play as the cleanup man for the mafia. You receive phone calls telling you where to go, then hop in your station wagon to dispose of bodies, collect evidence, vaccum blood, and maybe find some nice things for yourself as well. When you get into your first mission (called "contracts") , you are tasked with recovering the victim's wallet and body. 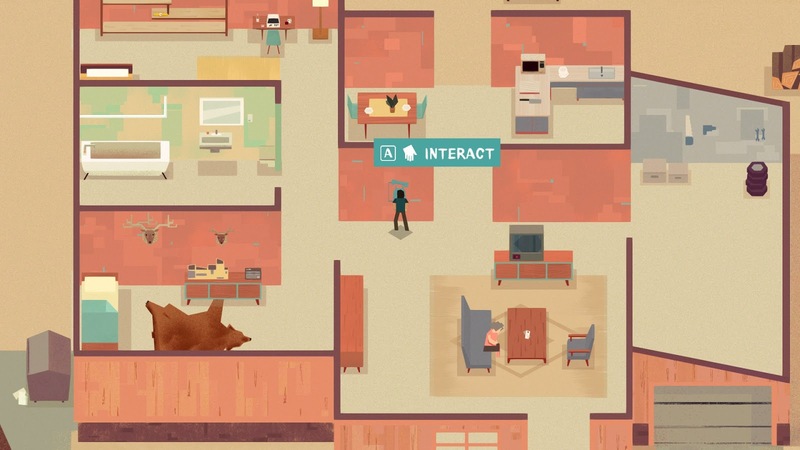 You need to sneak around the "enemies" on patrol (in the first level it was security guards, but it's usually cops after), collect any evidence or extras that you come across, and then recover the body (bodies in later stages), and then carry the body back to your station wagon. 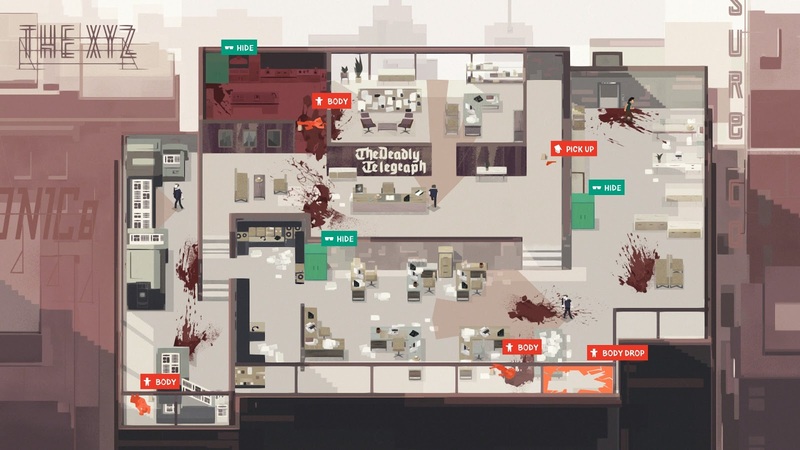 In other stages, you will have to clean up a certain amount of blood before you can finish the stage. There will be various body disposal receptacles as you go through the game, but most tend to be your car. To aid you in completing your mission, which must be carried out on the same attempt, you are given access to hiding areas that you can escape to if spotted by an officer. One thing to note, is that the location of bodies and evidence are randomized in every level, as are hiding spots. This is a double-edged sword. Sometimes the new locations of the items/bodies will make them easier to get to, and will help you get past a level that you get stuck on. Other times, they will become more difficult because of body placement, or worse yet, hiding spots will be moved or become removed entirely. 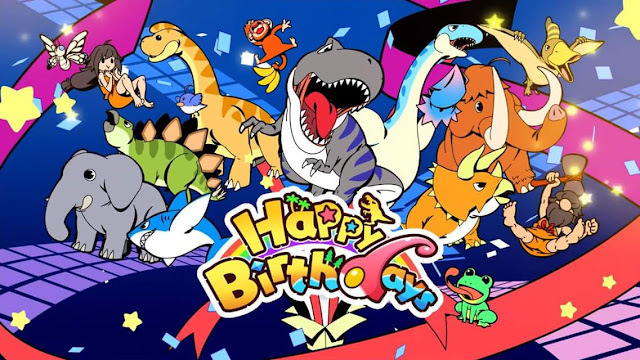 There are, however, various collectibles that do different things located throughout the game, and part of the fun of the game is locating where these are. You can unlock different outfits, bonus contracts, and sometimes just find trophies for your wall. These appear to be static, and once you've collected them, they don't have to be recovered again on a failed attempt. 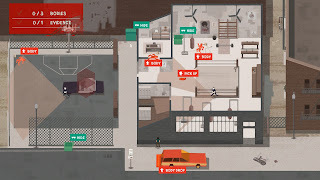 The game also gives you a kind of "spider-sense" option, which allows you to pan out and observe the entire level's map, and highlights where various items, bodies, and guards are located. It also shows you where the hiding spots can be found. This helps you better plan our your routes and observe the patterns of each individual guard. 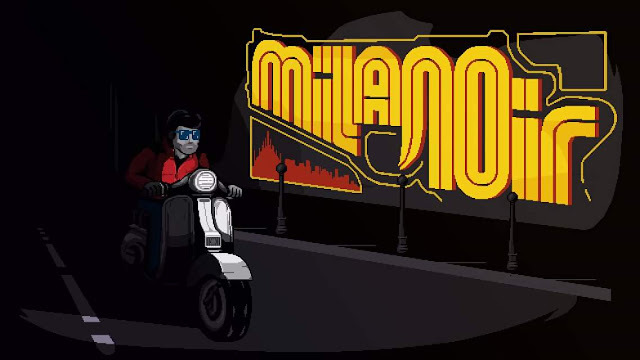 That is the key to this wonderfully executed stealth puzzle game enhanced by it's fun art style that calls to mind paper cutouts, and it's great seventies- inspired soundtrack. The game, much like many other puzzle games, alternates between being fun and frustrating. For the most part, this is well balanced by the genuine feeling of accomplishment when finally clearing a contract that you've come close to completing before being busted last second. Unfortunately, it doesn't lend itself well to longer play sessions because the game takes on a slightly repetitive feel when levels are completed in succession. Fortunately, though, it actually works to the game's advantage. It accomplishes this by being perfect to boot up and complete a contract or three, and then get back into the rest of your day until you have another bit of spare time. While I am reviewing the PC version of the game, I feel that it will be even better on the Switch for this very reason. I don't always mention this in these reviews because most games have a very overt horror theme, but I feel a slight explanation is necessary in this case. While the game itself isn't particularly scary or violent, it does put you in the role of a bad guy cleaning up the aftermath of a brutal crime scene, and I felt that this choice lead to it's inclusion in this month's theme.